Many schools throughout Wisconsin are already joining the Wisconsin State High School Clay Target League’s 2017 spring league. Join the more than 1,200 student athletes and more than 50 teams are expected to participate! The deadline for team to join the League is March 1. But don’t wait! Click here to get all the information to start forming your team today! The purpose of the Wisconsin State High School Clay Target League is to attract students to participate in shooting sports while creating a friendly competition among high schools throughout Wisconsin. 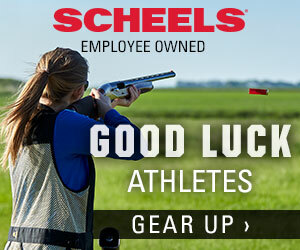 With the assistance of hundreds of volunteer coaches and parents, student athletes in grades 6 through twelve represent their high school and compete in weekly trap shooting at their local shooting range. Scores are submitted online and compared against other high school trap teams within their conference. This is accomplished by providing a safe, comfortable, positive team environment that enhances a student athlete’s character and personal growth through safe, educational and socially acceptable involvement in shooting sports. 5 easy steps to start a team! 1. Learn… More about our league by surfing the pages on our website including the rules, forms and schedule for important deadlines to participate. You can also get most answers to common questions be visiting our FAQ page. 2. E-mail… us and let the League know you’re interested in joining by clicking here. We can provide knowledge and tools to get you started. 3. Contact… your local gun club or shooting range and secure your day and time to shoot, costs and volunteer assistance. You can find a shooting range by clicking here. 4. Talk… to your school’s athletic/activity director and get permission to form a team. They may also help find volunteer coaches within the school. 5. Recruit… students within in your school to join your team through information meetings, brochures and posters in your school. 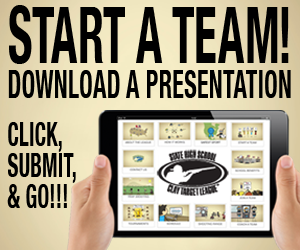 Download the Student Athlete Recruitment Kit. The League has promotional materials, forms and contact information to help you get your team started. We can also assist with setting up your school’s team with gun clubs or shooting ranges that are in your area. Thank you for your efforts to get recognition and acceptance of shooting sports in our schools.